Online shopping has been really male - oriented as the product categories were limited to software, computers, music and computer accessories. As the product category expanded to clothing, food, home care and toys, women started to adopt online shopping. Nowadays there is a massive surge in online shopping particularly among metropolitan women, as they tend to purchase both necessary and discretionary products. According to the report by Associate Chamber of Trade and Industry of India (ASSOCHAM), over 80% of the online shopping is done by metropolitan women shoppers.The present study investigates the prominent perceived risks of employed women in online shopping through a consumer survey and by applying multiple discriminant analysis .The results of the empirical analysis demonstrated that perceived physical risk and product risk were found vital in discriminating the respondents as intermediate or experts in online shopping .Whereas perceived psychological risk, quality risk, Information Security Risk, Time Risk, Delivery Risk, Social Risk, Source Risk and financial risk perception during online purchase adoption contributes comparatively lesser for discrimination. The findings elucidate how marketers can formulate and implement risk-reducing strategies during online purchasing. According to Indian Market Research Bureau and I- Cube 2015, 5.3million monthly active internet users are in Chennai - a Metropolitan city of India. Due to huge surge in technological advancement and access to the internet using mobile phones and tablets nearly 24% of them carry out online shopping. Probably the metropolitan women, use the internet for work and education in addition to online shopping and social networking. 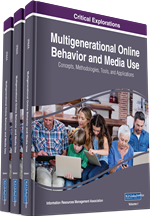 Usage pattern of internet also varies depending on the demographic factors such as age, income, and educational level. Young women employees tend to be intensive online shoppers while middle and upper age women employees perceived high level of risk where shopping online as compared to traditional forms of shopping. Women employees’ perception of risk is an important factor that affects online purchasing behavior.This perceived risk dimension affecting women employee’s purchasing behavior and their structural relationships have to be investigated throughly. The term perceived risk was coined by Bauer (1960) and quite often used to inscribe several things in consumer behavior.Those days purchasing products were considered as riskiest thing while consumers may be unaware of a purchase decision and the outcome of unfortunate decisions (Bauer, 1960). Cox and Rich (1964) studied that perceived risk is the proportion of risk taken by the consumer while making a particular buying decision. Lee and Turban (2001) stated that lower trust is one of the usual reasons as to why consumers do not prefer online shopping. Alreck & Settle, (2002); Forsythe & Shi, (2003); Garbarino & Strahilevitz, (2004) stated that high level of perceived risk often leads to obstruct the online shopping adoption of the consumers. Park and Stoel (2005) observed that the risk level may be exaggerated because of the consumers’ restricted physical access to goods. Cunningham (1967) found that risk perception of consumers may differ from product to product. Ten dimensions of perceived risk was ascertained as Delivery risk,Financial risk, Product risk, Privacy risk, Psychological risk, physical risk, Source risk, Quality risk and Time risk based on Zhang et al. (2012) which has been formulated based on previous review of literature and most suitable in internet context. Zhang et al had adopted from Cases (2001), Featherman & Pavlou (2003), Crespo et al (2009) and Ko et al. (2010). Kalpan (1972) and Peter (1975) and identified the types of risk like Social, Convenience, Financial and Product risks. Bhatnagar & Ghose, (2004) found that six elements of perceived risk were recognized as physical risks. Consumers depend on the limited information about products and pictures given in the website (Jarvenpaa and Tractinsky, 1999). Pallab (1996) states that online consumers are anxious about the security of using their debit card, credit card and personal information while shopping online; Maigan and Lukas (1997) found that more insecurity and risks are involved in online shopping while comparing to the traditional shopping. Added to that consumers’ reluctance to provide their credit/debit card information over the shopping website is a major crisis to online shopping. According to another study by Senecal (2000) and Bhatnagar et al. (2002) financial risk, privacy risk and product risk were more significant among consumers.